32 oz. Bird Bath & Statuary. Natural, soy-based cleaner that combines the power and versatility of the soybean to create powerful yet safe, renewable alternatives to petroleum-based products. 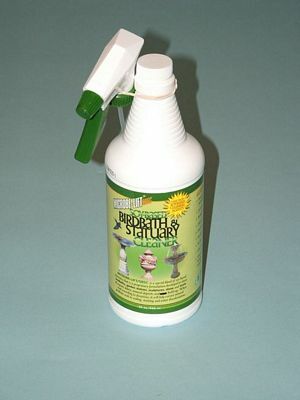 Microbe-Lift soy-based birdbath & statuary cleaner cleans birdbaths, garden statues, stone & brick, sculptures.